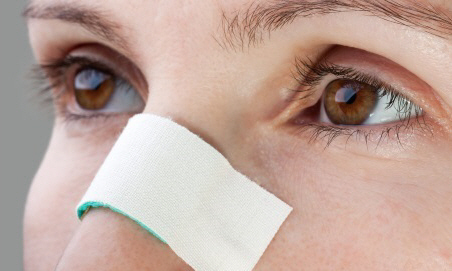 When you have your broken nose straightened, you will have a local anaesthetic, which numbs your nose for two to four hours. Afterwards, it is best to get someone to drive you home – or to wait two hours before you drive. rest for the next 24 hours. Don't try any heavy lifting or hard physical work for the next two days. If the pain continues, or if you become hot and feverish with a nasty green nose discharge, phone the Christchurch Hospital Otolaryngology (Ear, Nose and Throat) Department on (03) 364‑0985. gently sniff warm, salty water from your cupped hand if crusts form inside your nose, to soften them. Don't pick your nose. You should also avoid contact sport for the next four weeks as your nose heals. Written by Otolaryngology Department, Christchurch Hospital. Adapted by HealthInfo clinical advisers. Page created December 2015.